Many countries produce whisky – or variations thereof – but none with the skill, proficiency and authority of Scotland. Scotland is not just synonymous with whisky, it is whisky – and the ‘water of life’ is woven into the very fabric of Scotland’s culture, its heritage, its economy and its life. It does not just produce ‘whisky’, it produces Single Malt Whisky, Scottish Grain Whisky, Vatted Grain Whisky, and Scotch Whisky (blended). Where most whisky producing countries contain a small concentration of dispersed distilleries, Scotland is a veritable labyrinth. If you are working your way through this maze then Glenmorangie is the little glass of gold that awaits you at the end. 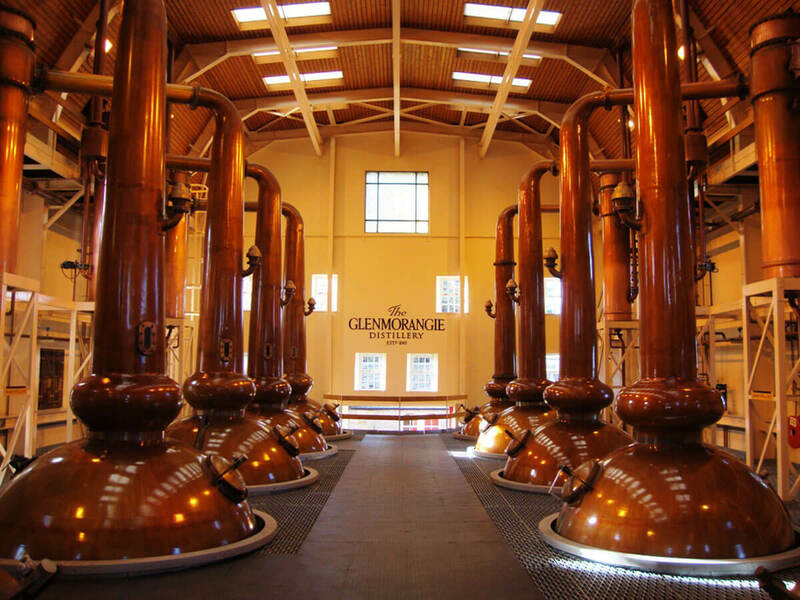 Based 40 miles south west of Altnaharra in the Highlands in Ross-shire, overlooking the dramatic Dornoch Firth, the Glenmorangie distillery can be found in the most grandiose and ethereal of settings. 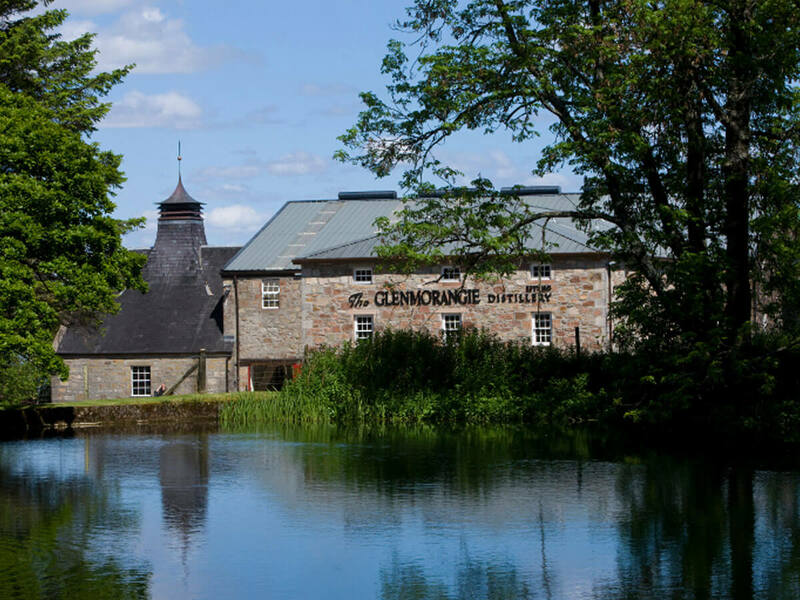 Established in 1843 Glenmorangie takes its water from the beautiful Tarlogie Springs, and has been a giant of the Malt world for many years. Inside the distillery you can expect to find something very unique; a distillery which possesses the tallest whisky stills in Scotland, has a strict rule on cask usage, and which employs pioneering techniques in the maturation process. In short, everything about Glenmorangie reeks of excellence. They are refreshingly modest too; a distillery tour costs a mere £5 and you even get a wee dram of the good stuff at the end. Discover more about the way Glenmorangie is created by visiting the distillery – on the A9, half a mile from the village of Tain. The Glenmorangie visitor centre is open all year (10.00–17.00) and on Saturdays (10.00–16.00) and Sundays (12.00-4.00) from June to August. Tours are conducted every half an hour from July to August and hourly during the rest of the year. Other distilleries in this part of Scotland include Balblair, Dalmore and Clyneish – forming part of the Highland Distillery Trail.